Here in the Offer only the Cape! 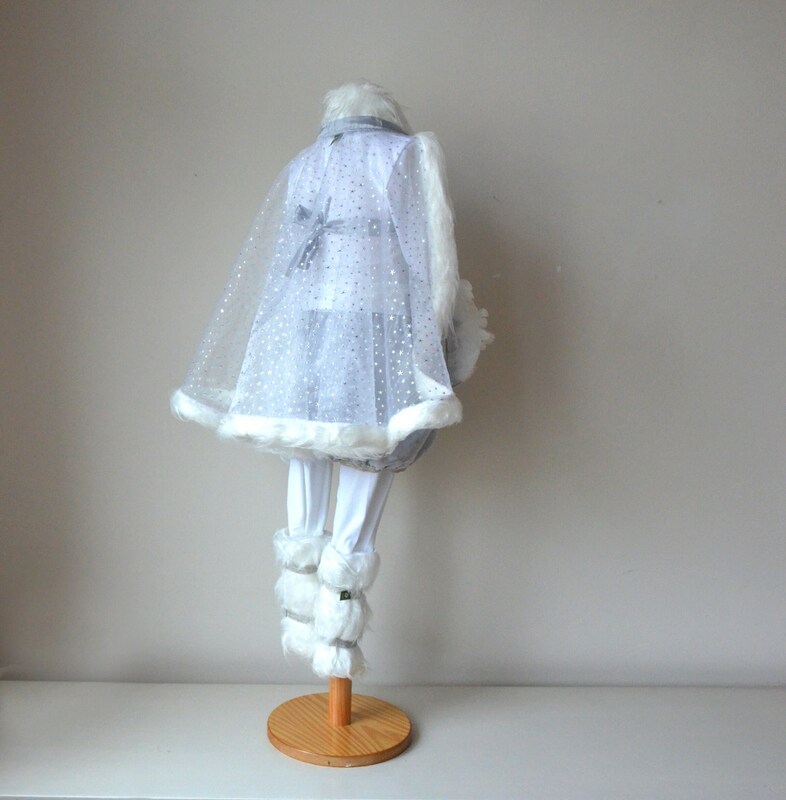 Our answer to "Hollywood" ... a little snow princess! 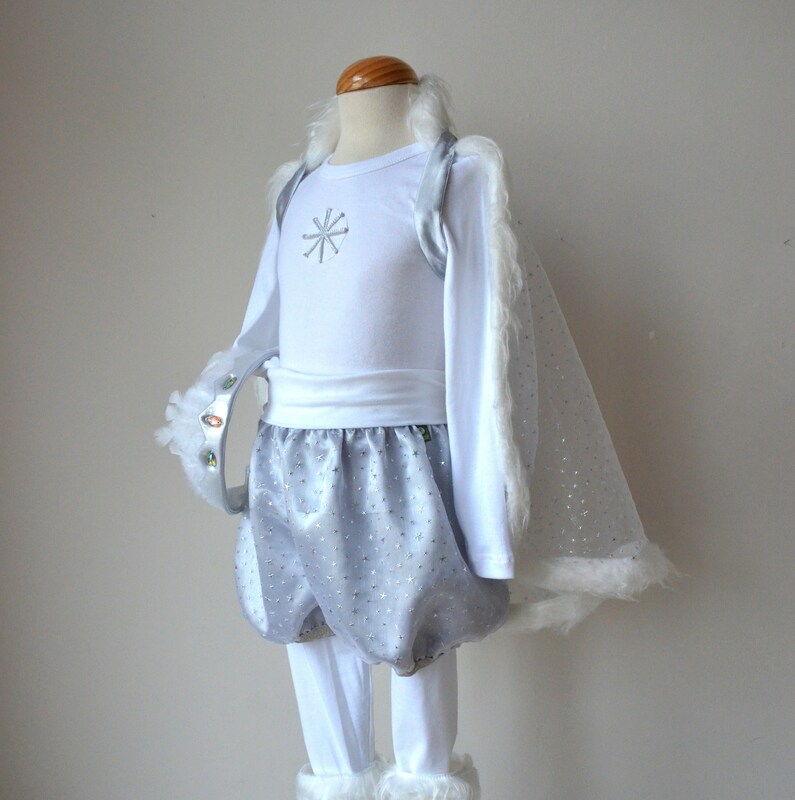 White and silver comes our snowflake, with a cape of shimmering white organza with little sparkling silver stars and a cuddly white fur collar, over a simple long sleeve shirt with snowflakes, a little harem pants from the same organza, lined with silver satin that works well on our white leggings or tights fits. 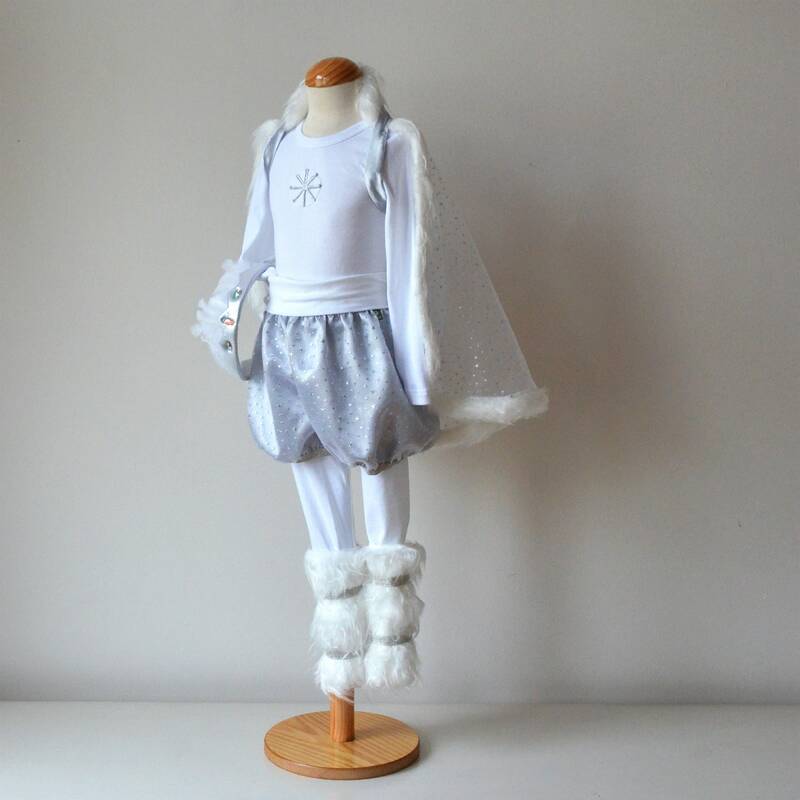 The finale is formed by the fine silver crown with white feathers and sparkling stones .... and then there is nothing cold in the winter forest, there are some silver-white fur leggings. Leggings in white is available separately in the shop. Please specify in the purchase of the exact size (2-3, 4-5, 6-7 or 8-9 years) for the shirt or small size: 2-5 years or large: 6-9 years for the size of Cape and pants.